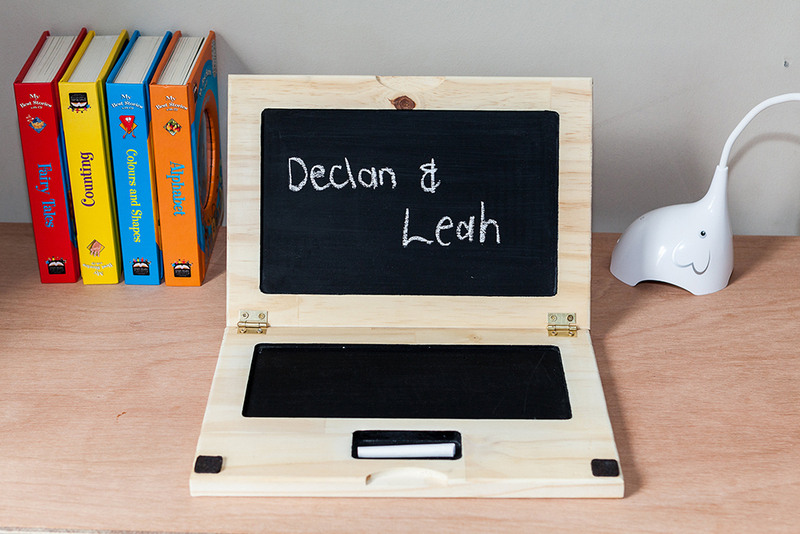 A fun wooden chalkboard laptop for the little ones that like to draw. The screen and keyboard section have been replaced with a chalkboard, and you won’t have to worry about cracked screens. Let their imaginations run free playing and learning with this laptop made from 100% natural materials. Ideal for children 1 – 8 years old.